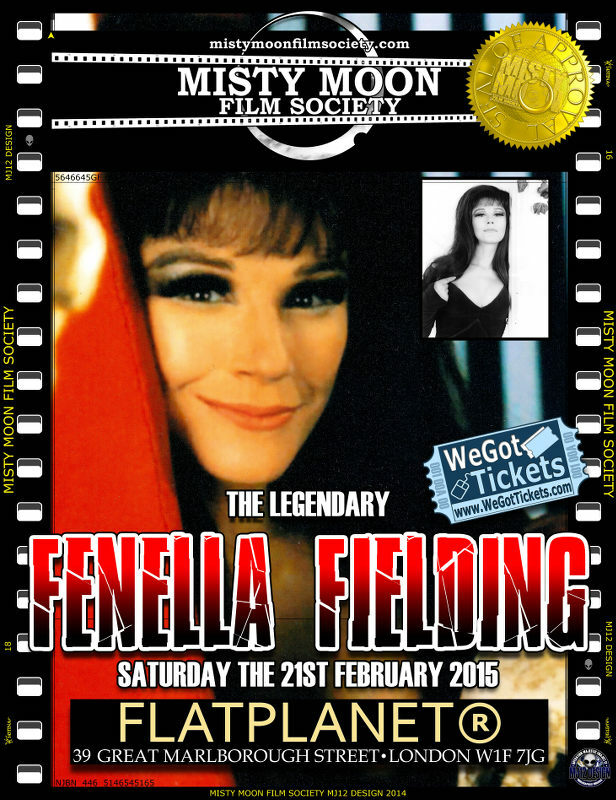 On Saturday the 21st February 2015 The Misty Moon Film Society Presents An Evening With The Legendary Fenella Fielding. Fenella has been to Misty Moon many times and was one of The Misty Moon Scream Queen Judges during The International Film Festival in 2015. Famous for her vampish looks and husky voice Fenella is a firm favourite with fans. Come & meet Fenella in the intimate setting of FlatPlanet, where Chris Collins will host the evening. Fenella will sign be signing autographs after the Q&A.